In today’s data-driven thinking, even the way you advertise is changing due to Artificial Intelligence (AI). If you have ever used Google, Siri, or Alexa, you’ve already experienced Artificial Intelligence in action, because whenever you search for something online, AI is there tracking your every search. After searching, you might immediately begin receiving pop-up ads related to your search on the side of your email page, or as an incoming message in your inbox, all powered by AI. Also, if you’ve ever asked a question on a website with live chat, there’s a chance that person you spoke with was actually a chatbot powered by AI. We all know those pop-up ads can be annoying; so much so that the ads will usually pass by unclicked. As technology becomes more sophisticated, so do consumers, who expect personalized advertising to be delivered on their own terms — not those of the brand. The old way of advertising targeted broad audiences with generalized messaging. AI, however, changes things, allowing brands to micro-target their ads to specific demographics, ensuring the advertising content is relevant, contextual, and personalized to individual preferences. One particular characteristic of AI is that it can automatically send emails to leads, and it can now predict when recipients are ready to talk with a human being. Most online ads are sophisticated delivery systems of data powered by AI technologies. AI is a set of algorithms that takes terabytes upon terabytes of information such as demographic data, personal data, geographic data, and personal interests, and turns it all into something that becomes a usable way to target your ads. This system of AI is called programmatic advertising. Programmatic advertising is used to profile visitors to a website or app. The information it gathers is then used to target and deliver ads to the user. According to eMarketer, more than 86% of US display ads are “bought via automated channels” and 8 out of 10 mobile displays are purchased programmatically. Programmatic advertising makes the buying, placement, and optimization process more efficient and targeted. Google and Yahoo tend to be on the forefront of technology, so it is no wonder they are using AI technologies to predict search behavior. Google is using AI programmatic advertising to automate the buying and selling of ads in a real-time bidding process. This bidding process crosses over onto mobile, display, video, and social networks. Google even uses AI to calculate how much to charge for bidding on keywords. One major aspect of AI for ad buying is ROI, which is always a concern that your marketing dollars are being spent well. A Deloitte study found that AI programmatic advertising is having positive returns on a company’s investment. Deloitte surveyed 1,100 US executives from companies considered to be early adopters of AI and found that 82% reported a positive return on their investment for their AI initiatives. Because of AI, the marketer can now advertise more relevant ads to their audience. Lexus has even begun using AI in their television commercials, signaling we have really just begun to scratch the surface of what AI can truly do! 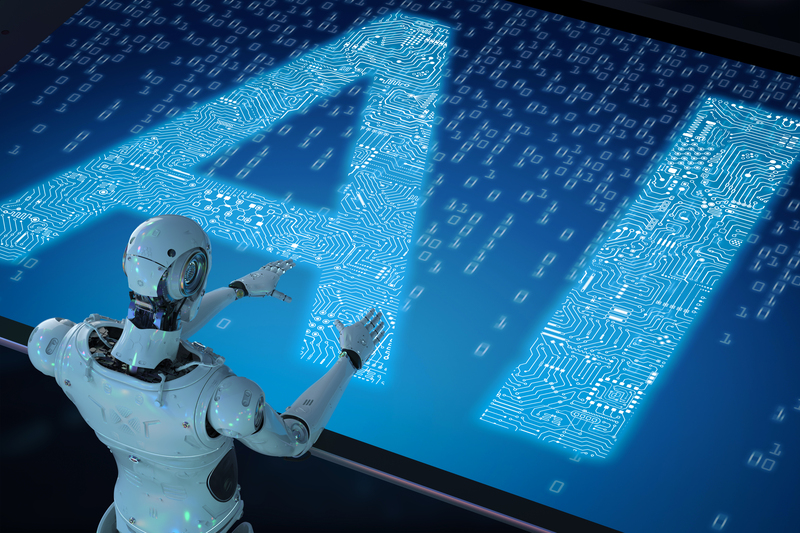 2019 and 2020 will prove to be unique years for the advancement of AI helping brands find new audiences. With improvements in AI, we will probably see unique web pages built on the fly, customized and personalized just for us – a custom shopping catalog for one, all compliments of AI!